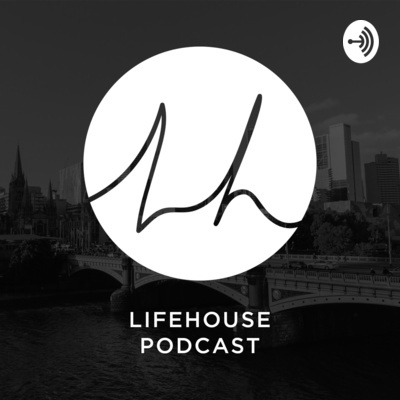 Welcome to the Podcast Channel of LifeHouse Church lead by Senior Pastors Richard and Helen Kobakian. 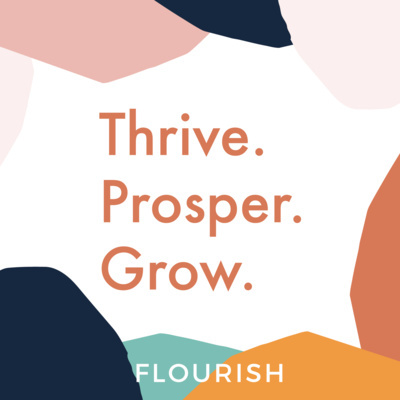 LifeHouse is a vibrant, growing church located in Melbourne that loves seeing people connected to Jesus and growing passionately in their faith. We hope these messages inspire you to live your life with purpose! For more details about LifeHouse Church visit lifehouse.global or download the LifeHouse Church app. Join Ps Helen as she uncovers the real meaning of productivity and how it can be used effectively in life! For more details about LifeHouse Church visit lifehouse.global or download the LifeHouse Church app. When we declare “Never Without You”, it allows God to help us live our best life, but to do this we have to see the blockages that are limiting us. For more details about LifeHouse Church visit lifehouse.global or download the LifeHouse Church app. In order to overcome anxiety we need daily bread to clear the head. Invite God into todays troubles. For more details about LifeHouse Church visit lifehouse.global or download the LifeHouse Church app. 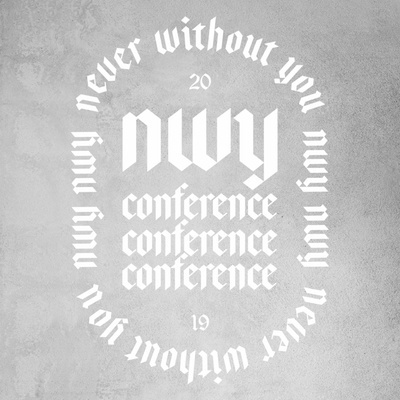 Never Without You - Lifehouse Conference 2019. If you don’t personally go with us, then don’t send us from here. How will anyone know that we are yours, if your presence doesn’t go with us (paraphrased). EXODUS 33:15,16 | For more details about LifeHouse Church visit lifehouse.com.au or download the LifeHouse Church app. For more details about LifeHouse Church visit lifehouse.com.au or download the LifeHouse Church app. Make the most of this life you’ve been given - A New Lease on Life. For more details about LifeHouse Church visit lifehouse.com.au or download the LifeHouse Church app. “To be certain of God is to uncertain in all our ways. You never know what a day may bring. This is generally said with a sigh of sadness; it should rather be an expression of breathless expectation!” Oswald Chambers For more details about LifeHouse Church visit lifehouse.com.au or download the LifeHouse Church app. What does it look like to serve? To serve our church, our King and each other? For more details about LifeHouse Church visit lifehouse.com.au or download the LifeHouse Church app. We often have good intentions, but fail to carry them out. Our Spirit is strong, but our flesh can be weak. But through a relationship with Jesus, we can rise up and overcome. Pastor Helen Kobakian shares on what it is to find your roar in the midst of trial. For more details about LifeHouse Church visit lifehouse.com.au or download the LifeHouse Church app. We are wired for connection, we all want to belong. Jesus disregards our shame so we could become a new creation and find belonging. For more details about LifeHouse Church visit lifehouse.com.au or download the LifeHouse Church app. Faith isn't just a religious experience, we need it everyday. In this world, we need to throw away our doubts and start believing for the miracles. For more details about LifeHouse Church visit lifehouse.com.au or download the LifeHouse Church app. The Bible is an essential tool for all Christians. The Holy Spirit brings to life the written word, so He can teach us and guide us. For more details about LifeHouse Church visit lifehouse.com.au or download the LifeHouse Church app. Perseverance is the key to not being swerved from your purpose by the greatest trials and sufferings. Having a spirit of perseverance leads to victory! For more details about LifeHouse Church visit lifehouse.com.au or download the LifeHouse Church app. You are definitely going to live forever, but do you know for sure where you are going to spend your eternity? For more details about LifeHouse Church visit lifehouse.com.au or download the LifeHouse Church app. Condemnation is something we cannot avoid in this life, but Jesus doesn’t condemn you, he wants to forgive you and wants to have a relationship with you. For more details about LifeHouse Church visit lifehouse.com.au or download the LifeHouse Church app. God is our healer and when we put our faith in him and declare his word over our situation, it allows His power to come and change circumstances. For more details about LifeHouse Church visit lifehouse.com.au or download the LifeHouse Church app. To live a life of purpose, God will often challenge us to move past what is safe and comfortable. For more details about LifeHouse Church visit lifehouse.com.au or download the LifeHouse Church app. Ps Karolina shares about having a spirit that sets the culture for every season and every situation. For more details about LifeHouse Church visit lifehouse.com.au or download the LifeHouse Church app. Special guest Ps Corey Turner shares a prophetic word on the principle of supernatural momentum. For more details about LifeHouse Church visit lifehouse.com.au or download the LifeHouse Church app. A message that although we are completely forgiven we are not forgotten by God. Our dreams are not forgotten, our prayers are not forgotten, our plans are not forgotten. For more details about LifeHouse Church visit lifehouse.com.au or download the LifeHouse Church app. The power of praise and worship can break the chains that are keeping us captive! Are you going to dwell in problems or dwell in praise? For more details about LifeHouse Church visit lifehouse.com.au or download the LifeHouse Church app. Life is a flow of high and lows. Learn to embrace every stage because it always comes to pass. For more details about LifeHouse Church visit lifehouse.com.au or download the LifeHouse Church app. Ps David Lambert talks on the importance of being continually filled with the Holy Spirit. We can't afford to go through the motions with God. For more details about LifeHouse Church visit lifehouse.com.au or download the LifeHouse Church app. There are so many shortcuts you can take in life, however no body can develop a deep relationship with God for you. Only you can do that! For more details about LifeHouse Church visit lifehouse.com.au or download the LifeHouse Church app. Have you ever wondered what the will of God is for your life? We serve a ‘green light’ God, who is often waiting for us more than we are waiting for Him. For more details about LifeHouse Church visit lifehouse.com.au or download the LifeHouse Church app. Ps Michael Murphy speaks on the importance of breath and how it is fundamental to our spiritual walk. For more details about LifeHouse Church visit lifehouse.com.au or download the LifeHouse Church app. The enemy comes like stealth in our lives and strikes when we least expect it. However, Ps Michael Murphy teaches us to unveil the real truth and know the things that really matter. For more details about LifeHouse Church visit lifehouse.com.au or download the LifeHouse Church app. Ps Richard Kobakian shares that we aren’t supposed to have habits, attitudes and compromises that hinder our lives, as “under control”. Instead God wants us wipe them out! Visit lifehouse.com.au for more details about LifeHouse Church. #284 - What Spirit Do You Carry? #278 - The Relationship Series, Enemy or Inner Me? #272 - Are You Distracted?